Step 1. 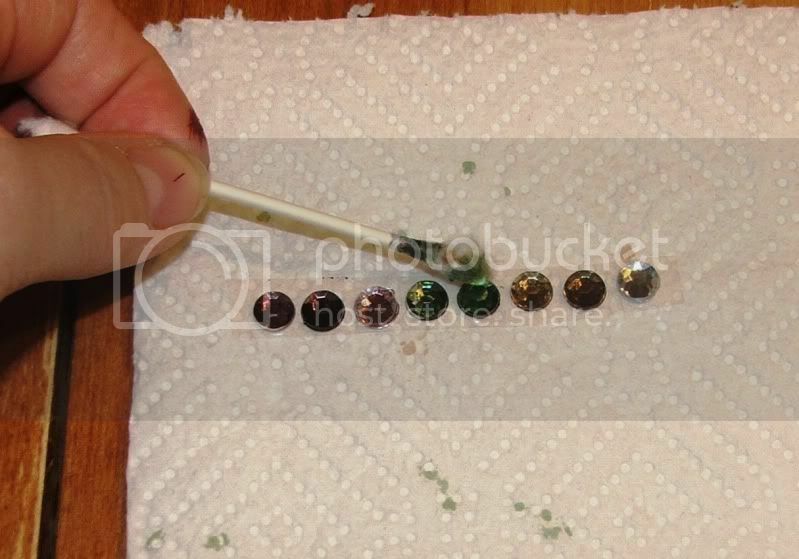 Get your bling, alcohol ink, a q-tip and some blending solution. The blending solution will let you lighten, blend or take off the alchohol ink. Step 2. Carefully (a little goes a long long way!) 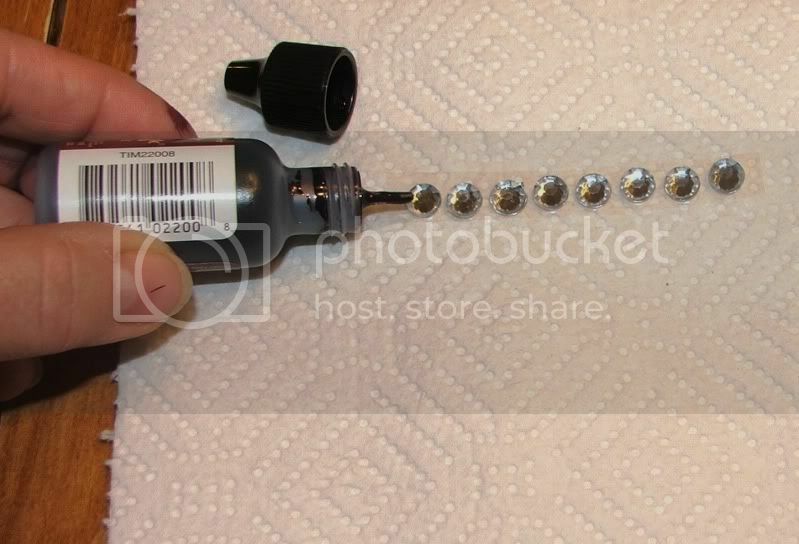 add a drop of ink to coat the rhinestone. Step 4. Start to blend the color. If it's too dark, use some blending solution on a q-tip to lighten. If you want more color, add another drop! Step 5. Voila! 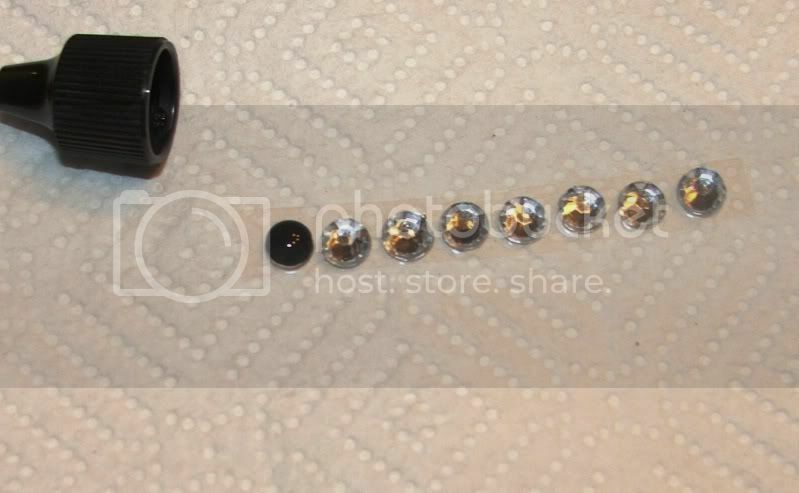 Beautiful jewel tone rhinestones in just the right color!